The summer's over, and fall has begun. The days are getting shorter, the weather is getting cooler, and winter is on its way. This would be the perfect time to start planning for that holiday trip or weekend stay at the ski lodge. Such trips are fun, but they can also be dangerous if you don't take the right precautions. Whether you've skied before or not, here are a few tips to make sure your trip is safe and fun for all. Start getting into shape now. Some vacation activities involve sitting back, relaxing and doing as little as possible. Skiing is not one of them. While there are many opportunities throughout the year to get into shape, you will need to be sure you are in good physical condition before you hit the slopes. Skiing a pretty strenuous workout, and you will need to be ready to handle it. Take skiing lessons. 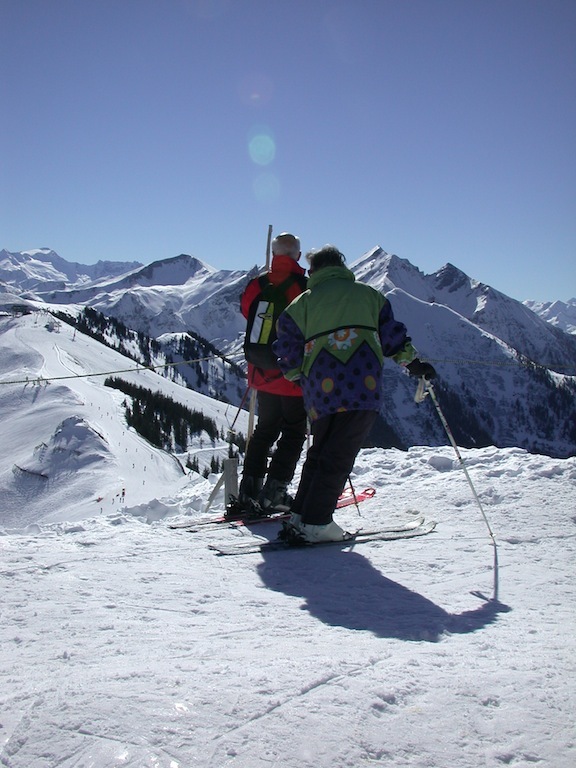 Even if this isn't your first time skiing, it's still a good idea to sign up for lessons. You can never go wrong with brushing up on your skills. Be prepared for the weather. While the need for cold-weather gear probably seems obvious, some people will skimp on it because they think that wearing too many clothes during exercise will make them 'too hot'. Do not do this! Wear layers and bring extras of things such as hats and gloves. You will need the layers in case you get wet, which is very likely to happen when dealing with snow. A hat and ear protection are essentials in keeping warm and preventing frostbite. Also, just because it's cold doesn't mean that you don't still need sunscreen or eye protection. These things are actually more of a priority during this time of year because the sun reflects so strongly off of the snow and can easily give you a sunburn or hurt your eyes. Also, you need to wear protective goggles to keep the UV rays away from your eyes and make sure you can see properly. You definitely don't want to be going down a slope at several miles an hour without being able to see where you are going! Be sure you have the proper equipment. Well-fitting boots, helmets and wrist or knee guards are essentials, as well as a good pair of goggles. Follow the rules. Each lodge will have its own rules and courtesy guidelines. These are for your safety, so you definitely need to pay attention to them. Know your limits! As tempting as it may be to show off to your friends, you need to be aware of the limits of your body and skiing skill. Some of the worst skiing injuries come from pushing your limits too far. These are only a few of the things you would want to know before embarking on a skiing trip. For more information, About.com and 'ABC of Skiing' (http://www.abc-of-skiing.com/ski-safety/before-hitting-the-slopes.asp) are good sites to visit. This website has shown me how many things out there, there are to do that I have never done! It makes me feel adventurous and inspired. I may not get to do these things anytime soon. But it's wonderful to have a dream isn't it? Yes don't forget suncreen and sunglasses. Some people underestimate the the sun's rays because they think it snowing and it's really cold.....no no no. I miss skiing, I haven't been in such a long time, ever since I moved to Texas.